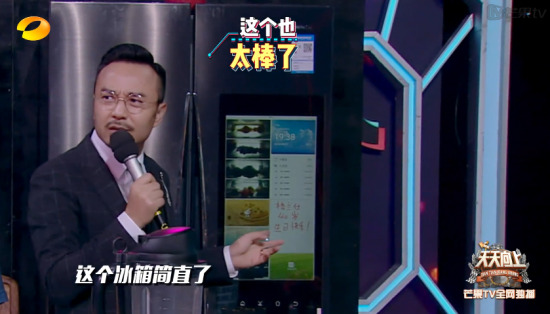 "Everyday up" star Qiqi was harvested | What is the magic of Galanz this refrigerator? On September 9th, the new issue of Hunan Satellite TV "Daily Up" gave the audience an eye-opener. The theme of this program is the Xinjiang Tacheng with the 'treasure on the border', which not only brings Xinjiang's gourmet flavor. Also intimately let the audience see the Galanz smart home style, this is another pick-up rhythm. This program has a lot of food, but the ICEWORLD Internet refrigerator is on the scene, which attracts guests. In addition to the low-key luxury appearance, the refrigerator is also equipped with a 21-inch high-definition large screen, in addition to the audience open eyes, Wang Han even Just call 'It’s just!' . According to reports, Galanz ICWORLD Internet refrigerator through 21-inch LCD large screen, you can view the latest news events, weather conditions, through the message board function to publish text, voice or video information to friends and family. 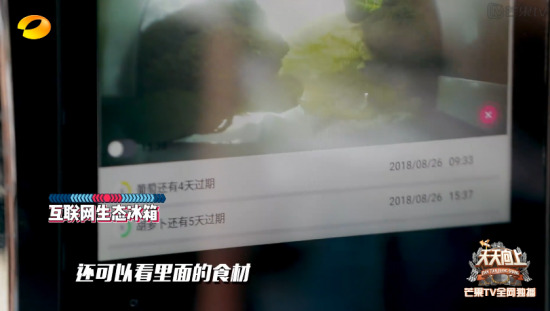 Calendar on the traditional refrigerator, refrigerator stickers, Useful but trivial objects such as notes are integrated into the large-screen menu of the refrigerator. Users can use the refrigerator to listen to music while doing housework, because they can get through the popular video apps, even when cooking. The ICEWORLD refrigerator in the kitchen came to catch up. It is worth mentioning that, unlike the singularity of ordinary smart refrigerators, ICEWORLD is super socially capable, and it can be interconnected with all smart devices in the user's home. With ICEVORLD, users can control any device that can access the Internet. In addition, the series of refrigerators built 4 high-definition cameras, you can know the storage of food in the refrigerator without opening the door. 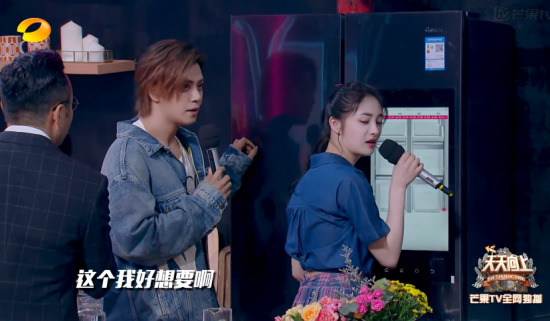 At the scene, when the host Wang Han introduced the refrigerator with online recipes, online shopping, WeChat interaction and other functions, the little fairy Zhou Jieqiong couldn't help but immediately said that he would like to add a Galanz refrigerator to his parents. An Internet refrigerator has conquered a large number of stars and audiences, which also shows the strong level of Galanz's home appliance manufacturing. It is reported that with the advent of the 40th anniversary of Galanz, Galanz has also launched the 'Galanz 40th Anniversary Carnival' recently, offering unprecedented benefits to consumers across the country. The ICEWORLD Internet refrigerator has also joined the 'Everyday Star Package' Among them, consumers to Galanz air-conditioner refrigerator washing machine nationwide store, Galanz official mall, Tmall official flagship store, Galanz ice washing Jingdong self-operated flagship store, etc. to buy the refrigerator, you will receive Galanz high-end smart appliances package.